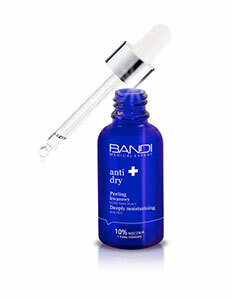 A professional, lightweight toning cream for capillary, sensitive and acne rosacea-prone skin types. It hides imperfections and instantly evens skin tone. It contains active plant extracts which eliminate minor redness. The skin is left moisturised and silky to the touch. A result of naturally beautiful skin. Capillary and sensitive skin, also as hypersensitivity prevention. Hypersensitivity to any ingredient of the formula. Pregnancy and breast-feeding. The line is designed for all skin types, especially sensitive and capillary skin and skin prone to acne rosacea. It is rich in active plant ingredients which counteract symptoms of skin hypersensitivity and effectively reduce the visibility of already dilated blood vessels. Veno Care is a range of cosmetics for complex redness reduction and skin tone improvement. It promotes the sealing of the epidermal barrier, improves the proper level of moisture, smooths and makes the epidermis more elastic. Plant redness reducing complex – reduces skin redness by decreasing the visibility of dilated blood vessels. It illuminates, harmonizes and improves skin tone. It contains extracts of evergreen cypress, horse chestnut and small-leaved lime. Rutin – improves micro-circulation of the surface of the skin, has anti-aging qualities. It is a natural ingredient contained in Japanese pearl bud. Chestnut and arnica montana active complex – known for its strengthening and elasticizing properties of blood vessel walls. It reduces the symptoms of skin hypersensitivity. Brightening plant complex – selected plant extracts with the effect of improving skin tone and brightening discolouration. It combines the effectiveness of licorice, white mulberry, peach and Baikal skullcap. Use for the day. For best capillary-firming results apply together with other line products.